Sore backs, bloody hands, uneven trims? 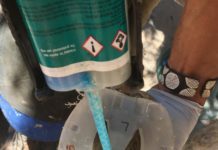 Which horse hoof trimmer has not dealt with all of these problems, maybe all of them each time trimming? 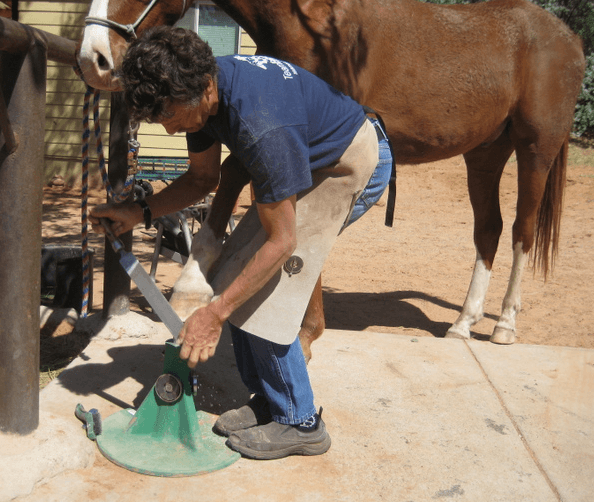 Here are some tips to make horse hoof trimming a lot easier on your body. 1. Stand pigeon-toed with your knees together. Use your upper thigh to keep you balanced and supple. 2. Keep your back straight, flex from your pelvis forward, do not bend your back. You might want to practice this posture a few times. 3. 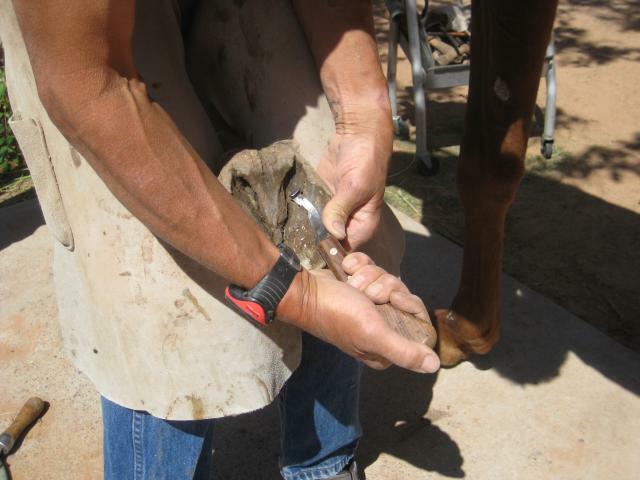 When trimming sole with your hoof knife, push the knife with your opposing thumb. It is a lot safer and keeps your hands from being cut up. 4. Start with a different hoof on each trim. If you always start with the same hoof, by the time you are done with the last hoof, you will be more tired than when you started. 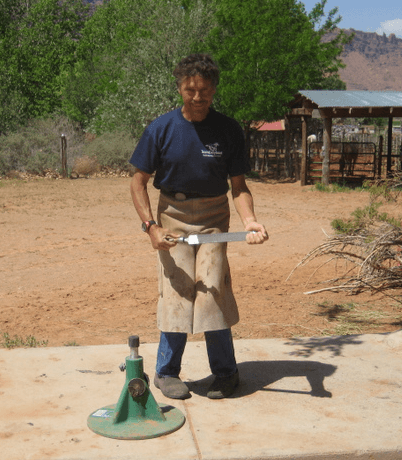 A trimmer that habitually starst with the front left will work that hoof differently than when he finishes with that hoof. You thus avoid creating major differences between the feet over time. 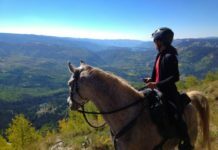 Pay close attention to patterns that show up if you are trimming several horses. 5. Switch your rasping strokes evenly. One hand is stronger than the other. If you always push the rasp with your right hand, you will rasp more off one side of the hoof than the other, thus creating imbalances. 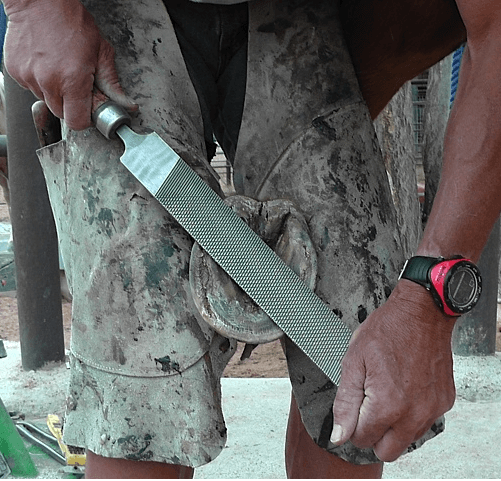 Push with the right hand diagonally down while guiding the rasp with your left. Then push with the right hand diagonally up across the hoof. Switch hands, push with your left hand diagonally down while guiding the rasp with your right hand, then push with your left diagonally up. PUSH the rasp, don’t press down with it. Let the rasp do the work. Watch the sequence in the 4 following frames. Left hand carries the watch, right elbow is wrapped for easier identification of left and right. 6. Use an apron. It saves your legs and knees. Back is straight, the hoof rests on thighs protected by the apron. 7. 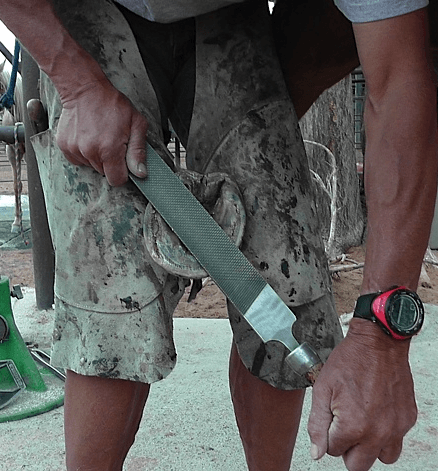 Use a Hoof Jack. 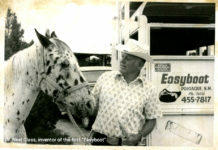 It is safer for you and your horse and protects your back. 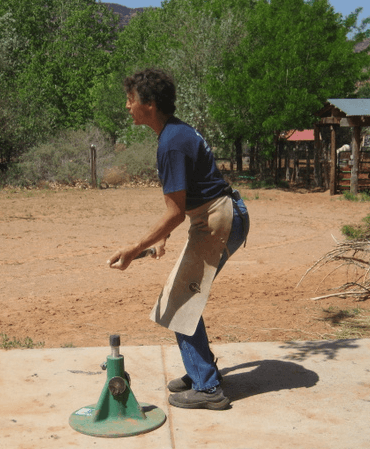 A Hoof Jack is an investment for life. 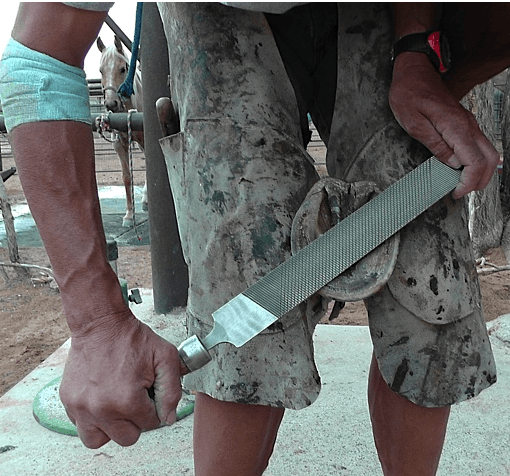 You can place your pigeon toes on the Hoof Jack to stabilize it. 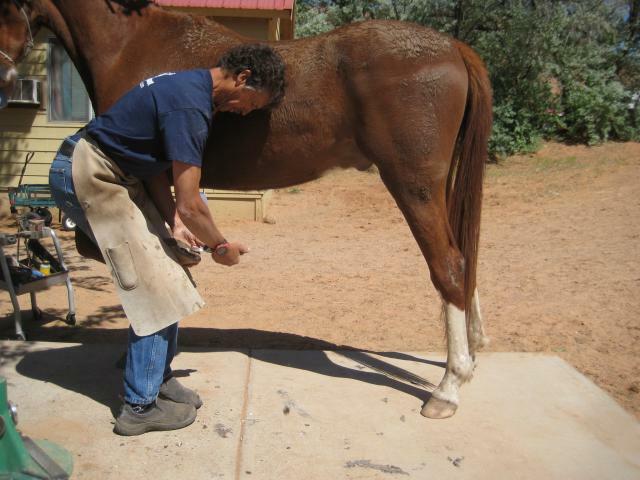 When you are not hurting, Horse Hoof Trimming is a lot more fun and you will do a lot better job!